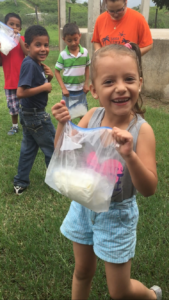 As the school year draws to an end, we at the Olancho Aid Foundation are excited to begin preparations for the annual Santa Clara English Summer Camp! At camp, we strive to help students maintain and improve their English levels, while (of course) also having a lot of fun. The camp is open to students from pre-K to 6th grade attending bilingual elementary schools in the Juticalpa and Catacamas areas. Each session will last two weeks, with the first two weeks reserved for students in the younger grades and the final two weeks reserved for students in the older grades. This year’s camp will include outdoor games, sports, music, crafts, and an overnight camping trip! Though we are planning a summer camp, this year’s theme of the Four Seasons will turn our camp into a fall-winter-spring-then-summer camp, as we take our students through a full calendar of weather and holidays in just two weeks. Every couple of days, the school will “change seasons”, with the students playing games, making crafts, and wearing costumes that go along with a different time of year. Once we finally come upon summer, students will stay overnight for a camping trip on our school grounds. YOU can send a student to camp by donating: $85 includes camp and transportation. As you know, every little bit helps so if you can give $25 for transportation or $60 for camp, we’ll be closer to sending all 55 scholarship students this year! 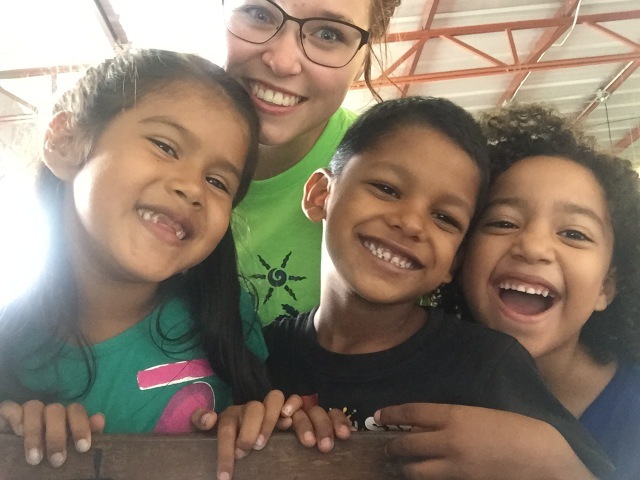 As in past years, we are welcoming a team of North American volunteers to serve as camp counselors; however, this year, we saved five counselor positions for Honduran employees who teach at Santa Clara during the academic year. The North American and Honduran volunteers will pair up in partner teams to lead the kids in their daily activities. Our hope is that the collaboration between foreign and local volunteers will not only provide a quality camp, but will also strengthen the North American-Honduran relationship that is so vital to the Foundation’s success. Camp will begin on June 26th. Please like our Facebook page for photos, videos, and blog posts about our student activities! Thank you for your support! You can also help offset start-up costs. These donations will allow counselors to purchase and transport resources to prepare for camp.